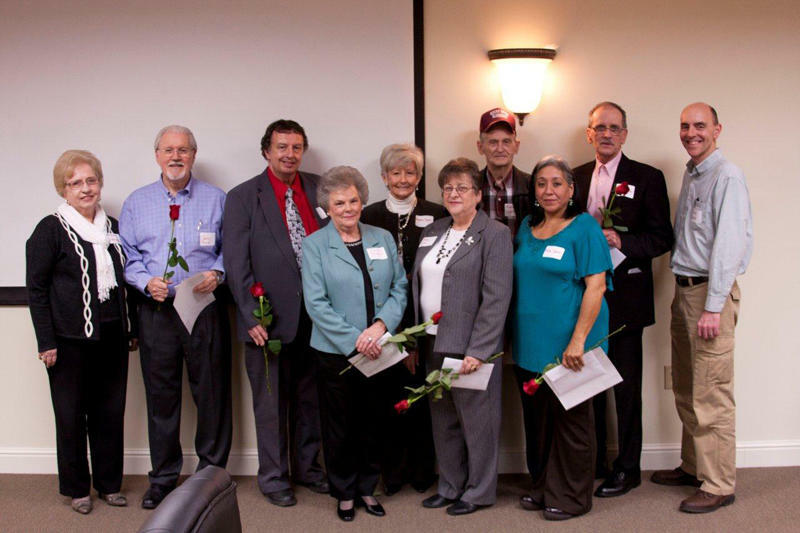 The Upper Cumberland Human Resource Agency recently honored employees who are retiring after15+ years of employment. During a ceremony held on Friday, February 17, 2012, nine employees were recognized by Ruth Ann Woolbright, Executive Director, and coworkers for their service and dedication to UCHRA and residents served in the 14 counties in the Upper Cumberland region. Those honored at that time included Bonnie Clinton, 15 years; Frank Crabtree, 24 years; Larry Davis, 25 years; Paulette Dycus, 28 years; Charles Frasier, 28 years; Anita Juarez, 17 years; Margie Kirby, 33 years; Sammy Palmer, 18 years; and Dorothy Stafford, 24 years. "These employees have many years of service with the Agency, and they will be remembered for their contributions to UCHRA and the people of the Upper Cumberland," remarked Michael Nesbitt, UCHRA Chairman of the Board.